The emergence and spread of multidrug-resistant tuberculosis (MDR-TB) and extensively drug-resistant tuberculosis (XDR-TB) are a major medical and public problem threatening the global health. MDR-TB is defined as TB that is resistant to the two first-line anti-TB drugs rifampicin and isoniazid. XDR-TB strains are in addition resistant to fluoroquinolones and injectable second-line drugs. XDR-TB emerges through mismanagement of MDR-TB treatment. Conventional methods for mycobacteria culture and drug susceptibility testing are slow and elaborate, requiring sequential procedures for the diagnosis. During this time patients may be treated inappropriately, drug resistant strains may continue to spread, and amplification of resistance may occur. Therefore rapid diagnosis and identification of MDR-TB or XDR-TB strains are prerequisites for the worldwide fight against TB. 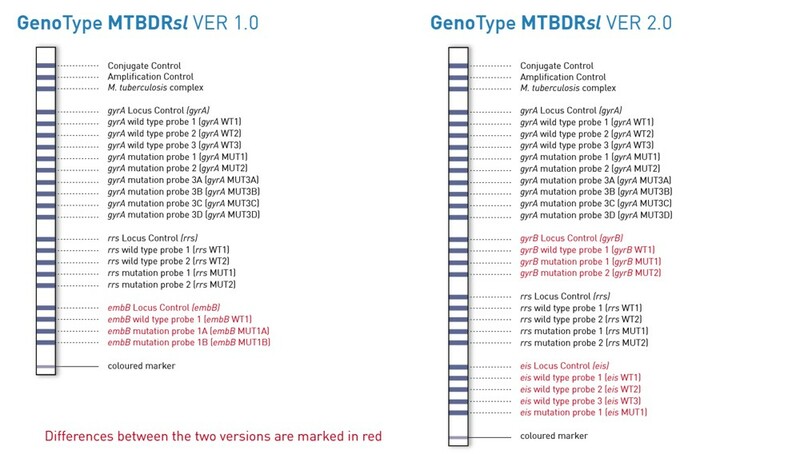 GenoType MTBDRsl VER 1.0 was the first commercial NAT for the detection of resistances to second-line drugs and was recommended by WHO to be used as a rule-in test for XDR-TB. 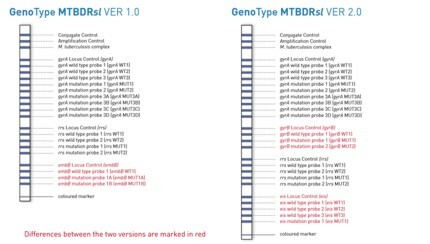 The second version of GenoType MTBDRsl also enables the detection of mutations involved in resistance to injectable drugs as well as the resistance to fluoroquinolones. Furthermore, the test system offers new features or the detection of resistances to second-line drugs. Sensitive detection: The first version of GenoType MTBDRsl can be processed from smear-positive pulmonary or cultivated samples. The second version is even more sensitive and can therefore also be performed using smear-negative pulmonary samples. Efficient diagnosis: Both test systems are perfectly suitable for the detection of XDR-TB in patients previously diagnosed with MDR-TB. For a step-wise diagnostics the test systems can be performed subsequent to GenoType MTBDRplus using the same DNA isolate. Flexible processing: According to your sample throughput you can choose between manual or automated processing. Rapid results: Results are available within a few hours in comparison to several weeks when using conventional methods.